We couldn’t be happier to introduce the new brand design and custom website design for Boston and DC based event planner, Beacon & Berkeley. This was such a fun project to work on, with owner, Amanda. Amanda has been a professional planner for years and was ready to evolve into her own brand, so came to us in search of an identity strong enough to embody her professionalism and experience, while also being full of character and personality. It was on the cross street of Beacon and Berkeley over a decade ago when owner, Amanda, discovered Isabella Gardner. Isabella, once described as a “fairy in a machine shop,” was known as a philanthropist, who marched to the beat of her own drum. Often serving champagne with donuts, throwing large art galas and attending Red Sox games, Isabella’s quirky spirit, and huge heart have become an inspiration in the Beacon and Berkeley brand. Take a look at the custom logo design, brand identity and website design and tell us what you think. Why did you start your business? I wanted to give back to our community but loved my job so I was able to merge both!! What is unique about your business? We are still doing wedding planning like other companies but have incorporated a charity component where we work with charities to give back and allow our clients a place to highlight non-profits or causes they believe in! What’s on your Playlist? A wholeeeee lot of 90’s music. I’m a sucker for anything 90’s or early 2000. When I’m working its always a David Gray playlist though. Where do you find inspiration? Architecture, textiles, people and my dog Tessie. Why did you decide to work with Doodle Dog? Hello- its called Doodle Dog!! I felt a connection to the mission statement and also loved their work! What’s your favorite part of your new site or new brand? My logo- I’m in love!! What advice would you give to someone considering a rebrand or relaunch? Make sure to put your personal spin on it- you will feel so much more connected to the final product. 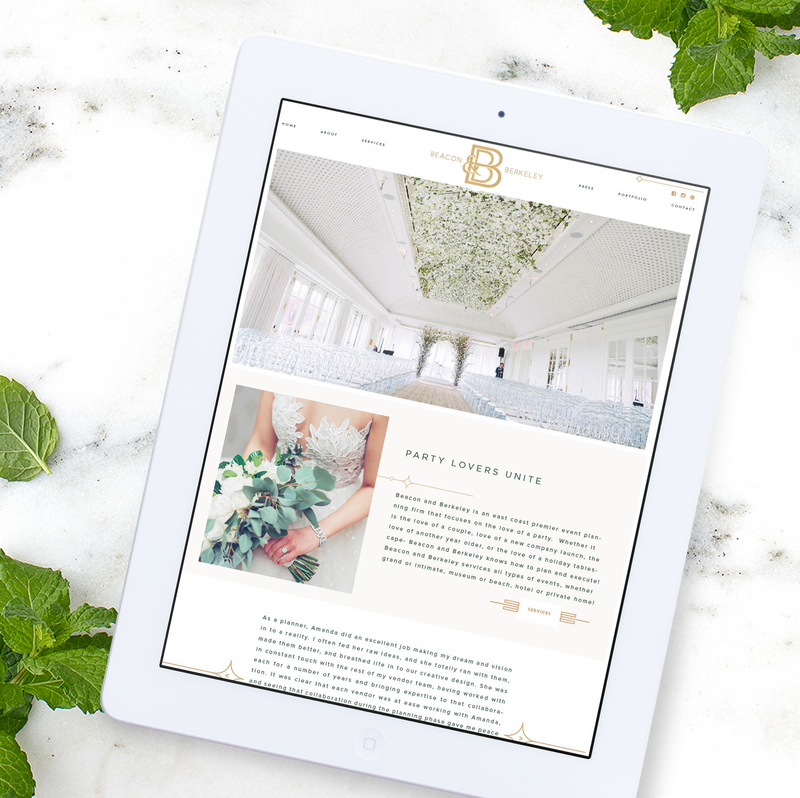 Interested in seeing more brand and website projects we’ve had the opportunity to create for wedding and event planners? Click here. 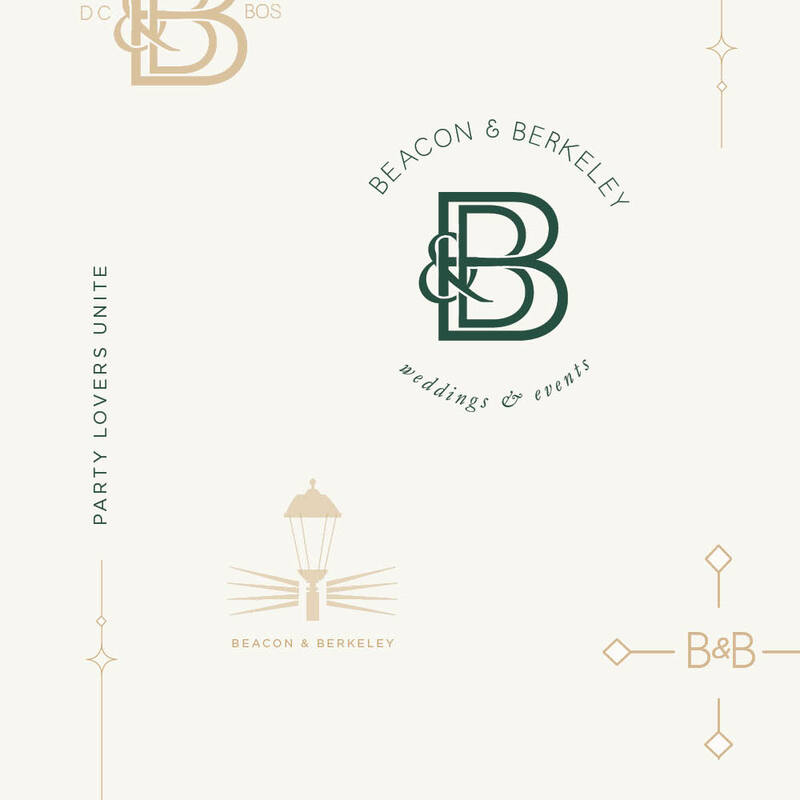 Interested in seeing the complete launch of Beacon & Berkeley? Visit the website.